The McGrath Institute for Church Life hosts scholars and pastoral leaders from across the globe for occasional lectures on campus. Topics vary from human dignity to the Book of Exodus. University and South Bend community members are invited to deepen their understanding of important themes in Church life today. 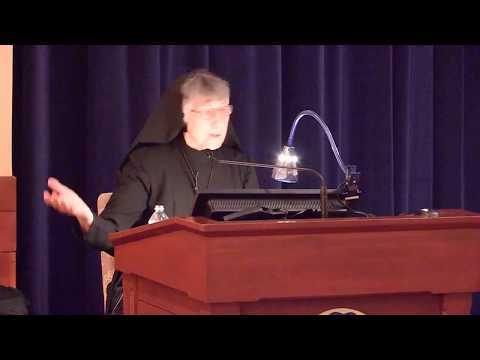 Sr. Prudence Allen, RSM gives an overview of her magisterial 3-volume work, "The Concept of Woman" in which she traces the philosophical development of the concept of woman from the time of Aristotle to the present day.